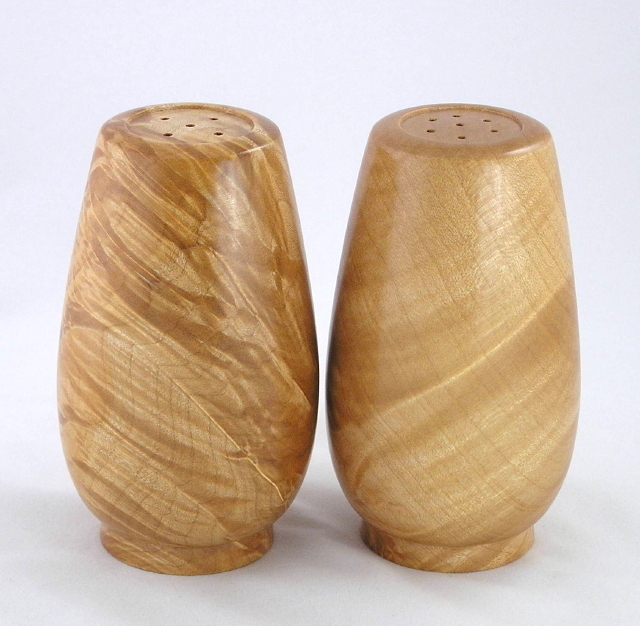 Salt & Pepper Sets : No Skew Turns, Gifts handcrafted from the world's beautiful woods. 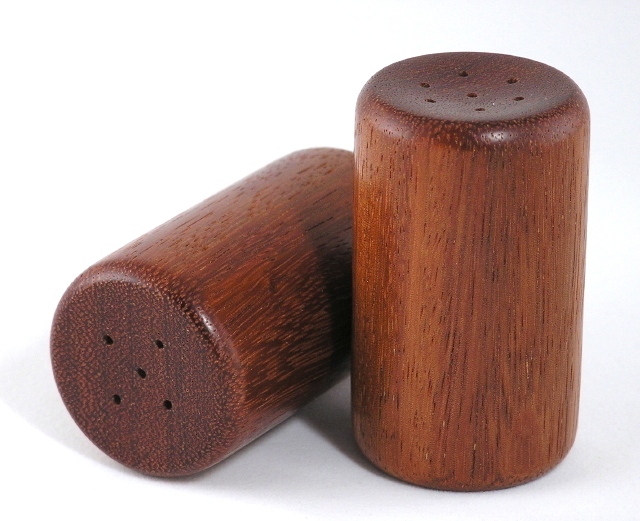 These generously-sized salt and pepper shakers are suited to everyday use or special dinners. 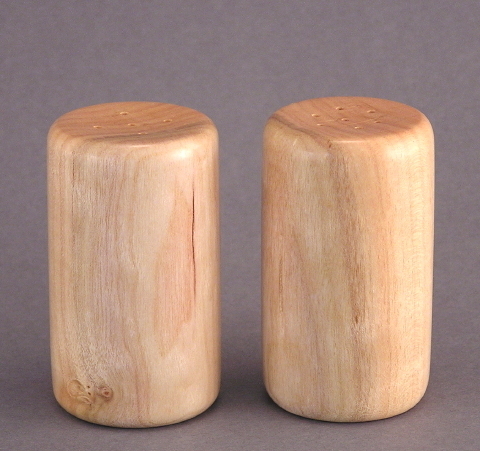 They seal tightly with rubber bungs on the bottom, and the insides are left unfinished. 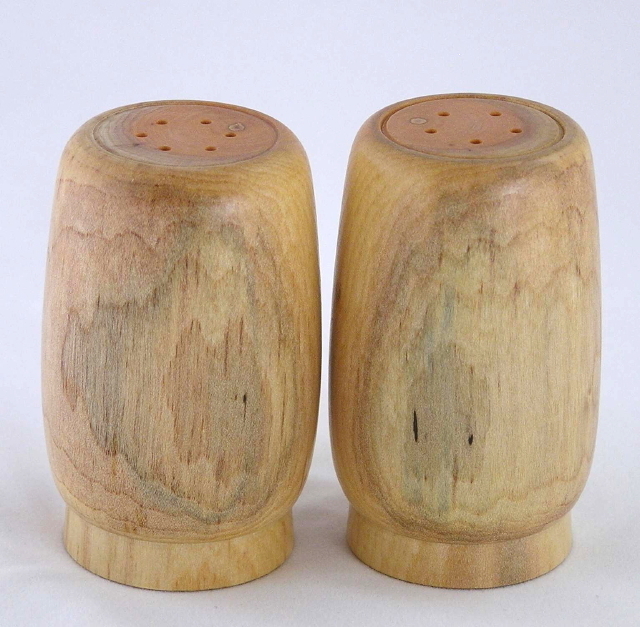 If the outsides get sticky, as shakers do, wipe them with a damp cloth and dry with a towel. 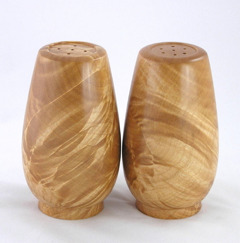 The shakers can be also be washed by hand with warm soapy water, but please don't let them soak. Rinse well, and allow to air dry for a day or two, with the stoppers removed, before refilling. Tip: In humid climates, a teaspoon of raw rice in the salt shaker will help keep the salt flowing smoothly.